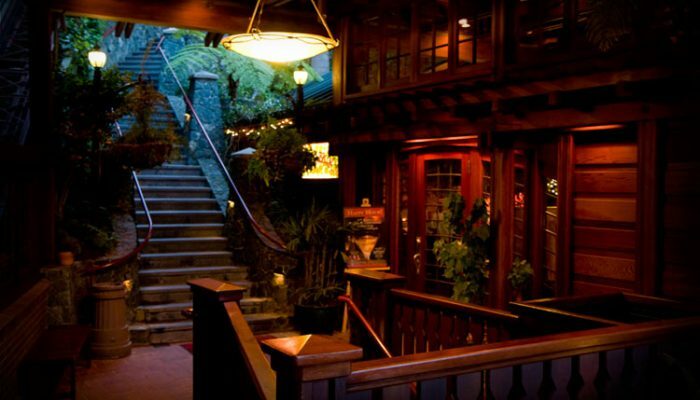 “Since 1947…and Now Better Than Ever” Located beside lush Soquel Creek in Capitola-by-the-Sea, Shadowbrook Restaurant is best reached by its own quaint cable car, or a meandering garden path. Since 1947 Shadowbrook has continued to provide world-class service, fine food, wines and liqueurs in an atmosphere of Old World charm and grace. 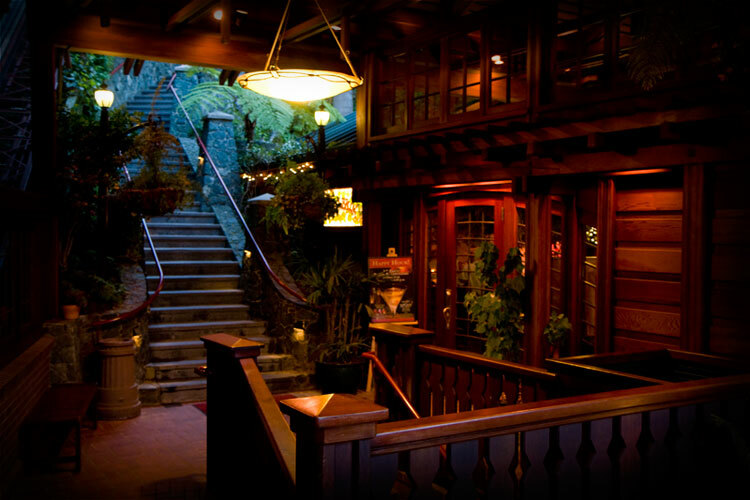 An authentic Italian restaurant located in downtown Santa Cruz, California, serving lunch, dinner, Sunday brunch, and banquets. Some of their specialties include the whole wheat bread and the seafood pasta. They are open Monday-Friday from 11:30am to 2:30pm and for dinner from 5:00pm to 10:00pm; weekends from 10:00am to 10:00pm. Newcomers and veterans alike all secretly feel that Ristorante Avanti has rolled out its cozy wine bar and acres of Mediterranean flavors just for them. And there’s the ambiance–this lively restaurant’s ability to feel casual while serving memorable meals is part of its charm. Soif is a Santa Cruz Restaurant, Wine Bar, and Wine retail shop providing the opportunity to explore wines in a sophisticated and friendly environment. Since opening, our goal has been to provide a comfortable place to drink great wine and eat food that is as good as the wine, and then, if the wine is really good, to be able to buy some and take it home. We want wines that are usually a challenge to find: reflective of their origin, expressive of the vineyard and the vintage and the traditions of their region, wines that are not a commodity, but limited and handmade, wines of great provenance and flavor. Assembly is the place you are meant to be. Welcoming, comfortable, and strangely familiar with a subtle undercurrent of celebration. Nourishment abounds. You may engage in the revelry at the long community table anchoring the heart of the dining room, or seek out a quiet corner for reflection. Arriving alone you soon meet now or future friends. With family you linger over your meal. Quality conversation is matched only by the wholesome, bountiful, freshly in season menu; served in portions to satisfy one or share with many. The food is rustic Californian; traditional preparation techniques rediscovered and given a fresh twist. Slabs of newly baked bread, large leafy salads, roasted vegetables, and hearty meats tantalize and satisfy. A complex glass of wine, or intriguing draft of craft beer compliments the cuisine perfectly. La Posta is a neighborhood restaurant bringing the soul of Italian cuisine into the heart of Seabright. Chefs Katherine Stern and Mark Denham deliver a fresh, market-driven menu inspired by the local community of farmers, foragers and fishermen, who provide an abundance of riches to our kitchen. Pizzas, house-made bread from our brick oven, cured meats and fresh pastas are complemented by an adventurous wine list that highlights the indigenous grapes of Italy.